Not so much physical recovery-I was good there pretty quickly, but mental recovery. In short, I needed (and got) a vacation. More on that later. 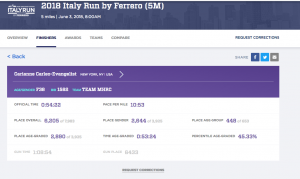 As I thought about goals for the Italy Run, I looked back at my 5M NYRR times. I’ve only done two at the distance, despite loving it. The Retro, which was this weekend last year at 1:06:06/1:06:02 and the Poland Spring in October which got me my K corral at (57:32; 57:45). With Friday’s cramping and not knowing whether it would return, I didn’t think I had a PR in my legs, so much as I’d have liked 55:00, I was just hoping to break an hour. The route was substantially the same as the Retro and although I was worried about the hills, I thought Cat HIll between miles one and two would probably be OK and I could walk the rollers if need be/calves flared up. As a final test of my legs, and because I thought I’d like to try it at least once I ran to the start. My legs felt good and I still had plenty of time to use the ladies’ room at Bethesda before. I stretched, but generally felt good. People people everywhere. 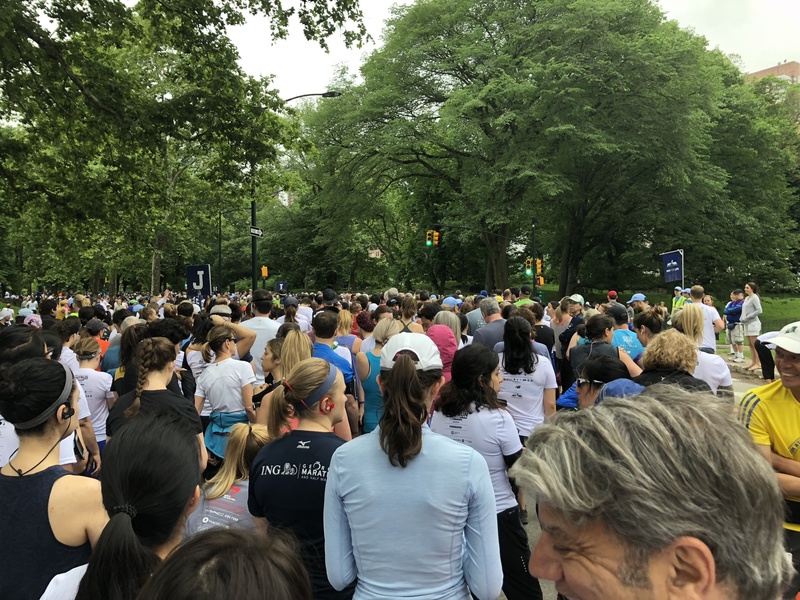 7,983 finishers per NYRR and it certainly felt big at the start. Not as many speakers in the corrals as in prior races, so we couldn’t hear much of the announcements, the anthem or why there was a delay in the start. 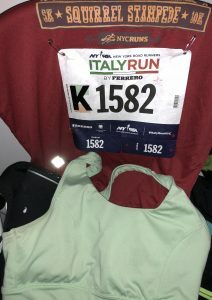 I put that up to the race being on Italy time. When we were finally off and running, I got frustrated. I don’t know if this was due to the size of J/K corral or being first spring race with decent weather, but I felt there was a general increase in a lack of consideration. If you’re going to walk/selfie right out of the gate, move to the side. Don’t run three across. I also saw way more course cutters than I have previously taken note of especially when we got to the reservoir. The whole race felt good. I was pleasantly surprised at mile one and knew even if I lost time on mile 2 (hi, Cat Hill), I’d be good. Pleased to get right back to my mile one pace easily on mile three and five after hilly miles. I was especially happy since, with the warmup, this was ~6.5 miles. I’ve never maintained a sub 11 at that distance. BAM! Three minute PR. I have no idea whatsoever where that came from, but I love it. 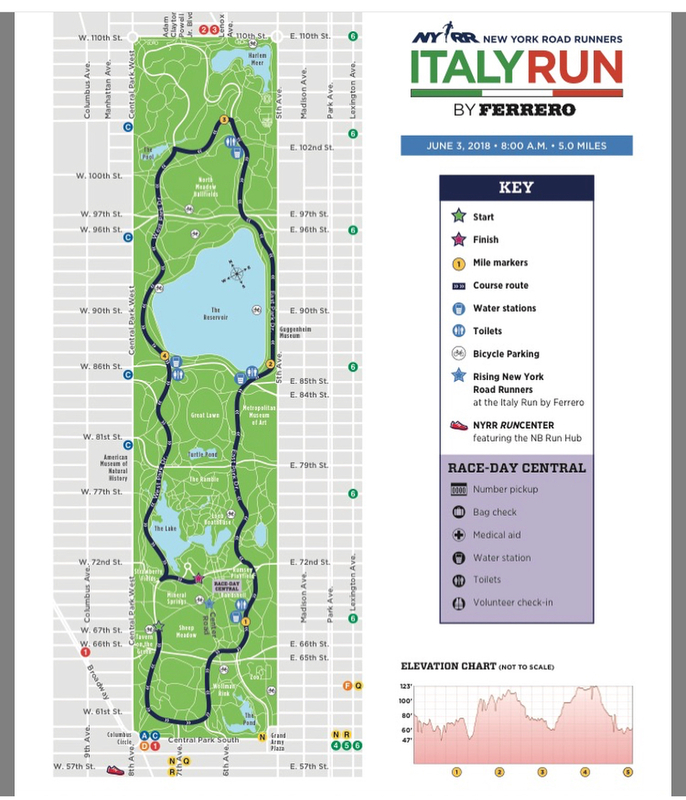 Curious to see what it means for Saturday’s 10K, which goes in the opposite direction. Yay down Cat Hill. would you like some cheese with that ham? Shirt from the Squirrel Stampede came in handy to have something red. Another white race shirt. Ugh. My legs were feeling good and I decided to run home, bringing me to about 8 miles on the day which felt good. 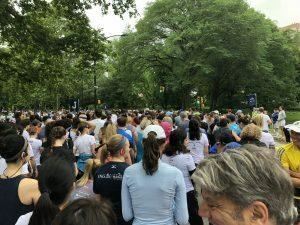 I still remember at the 4M last spring a woman in the corral had run before and was planning to after and I couldn’t wrap my head around why you’d do more than the race called for. WHO AM I?! 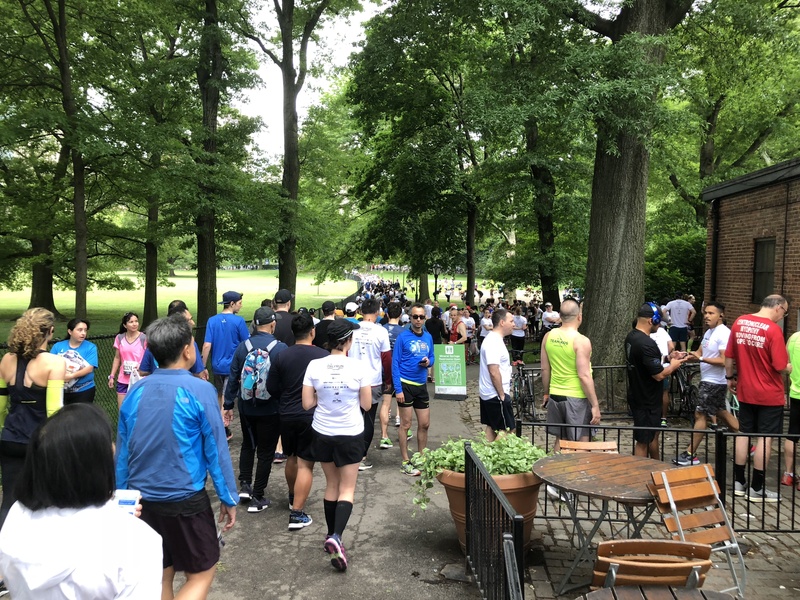 5/22 – the run I briefly mentioned in my second Brooklyn Half post. Legs felt good, didn’t want to push it too far. 5/24 – Flew into LAX on Wednesday and thanks to being up way early due to jet lag, I went for a run ahead of the road trip. Rather than laps of complex like last time, I took advantage of the sidewalks and headed out onto the main roads. It was overcast and relatively cool, hence smog not being the issue it could have been otherwise. I was originally trying to complete a loop, but didn’t remember where the turn was, so doubled back on my route. 5/26 – learned my lesson and really wanted to explore, so I ran around the golf course. Some nice inclines that way and although it was still hot, I got out before the worst of the day’s heat. We subsequently headed up to 8K feet where it was much cooler. Pleasantly surprised that the altitude didn’t bother me the way it did when I visited Garden of the Gods a few years ago. Yay running! 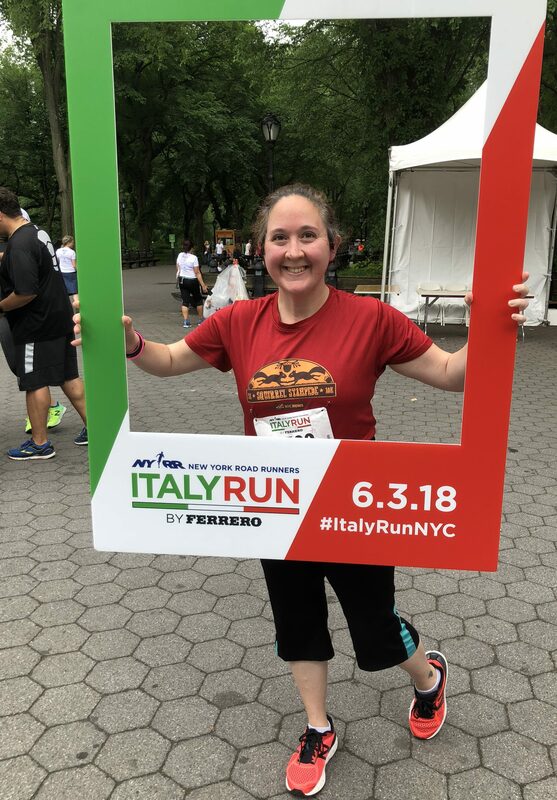 5/28 – I got my beach run! 7.32 miles in two stints from Santa Monica to Venice via Pacific Palisades and Venice back to the Santa Monica pier. Pace was what it was because I was people watching and taking oodles of photographs, I don’t regret it one bit, it was a perfect 60 degrees. 5/30 – best laid plans and all that. By the time I finally got out of the office, it was too late to store my things at the NYRR Run Center and return before it closed so I zipped home (so weird to take subway straight home, it almost never happens), changed and headed to the East River for whatever time/rain clouds allowed. 3 miles felt good. 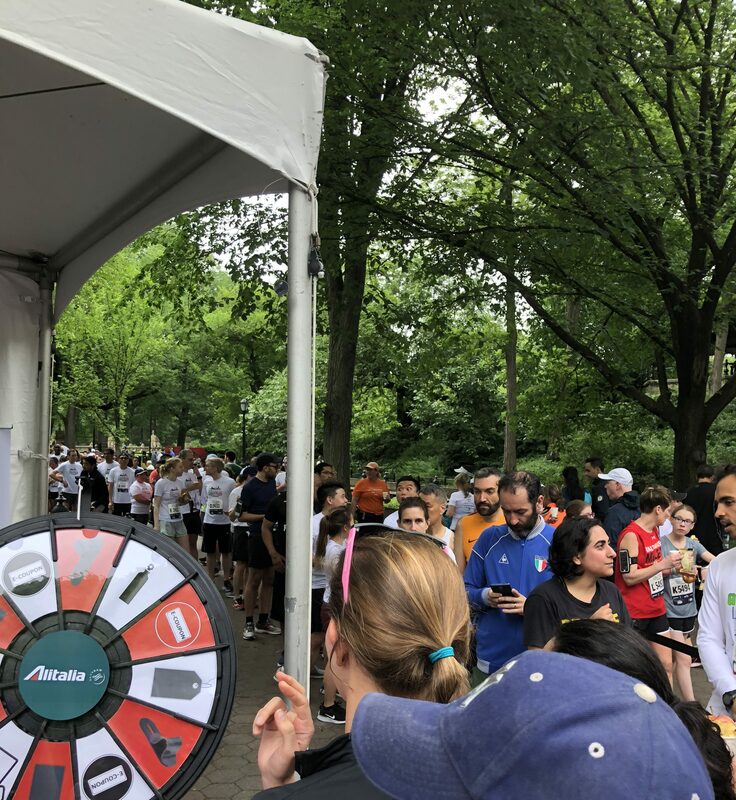 In hind sight, it was good I didn’t run Central Park as Corporate Challenge was on and that would have been a zoo. 6/1 – holy calf cramps. My achilles had been a little chatty in the week ahead of the Half, but it didn’t give me an issue during the Half or at any time since, so I thought it passed. Then I had a couple Charlie Horses that I attributed to cramped legs while flying. I was about half a mile into Friday’s planned 3ish when both calves seized simultaneously. I cut the run and went to the foam roller since I think it might have been due to little to no rolling while traveling. Both seizing simultaneously made me pretty confident that it wasn’t an injury, but I wanted to be smart ahead of Sunday’s run. So I went for a sunset walk with a book, not a bad option. 6/2 – calves didn’t feel bad as I did some minor errands so I decided to jog to the gym for their larger foam roller as a test. I didn’t think a DNS was in the cards, but didn’t want to go in without knowing. The heat & humidity were bigger issue as I ran to the water fountain and then from the top of the hill to the gym (ignore the drunk GPS). Calves felt OK, but I spent a good hour foam rolling them. I’m really pleased with that. I didn’t run as much as I have in the past even with a Half Marathon, but I didn’t let business travel & vacation keep me from running. Steps wise, this topped May 2017, not a great month, even without the Saunter thanks to the Half and Monday’s 30K+ steps with a run & sightseeing. I’m ahead of the pace for 5,250,000 steps by a lot. I’m slightly off for both 2500 miles run/walked on the year and 700 miles run, but I think I’m within striking distance. Both stretch goals anyway so I’m OK with that. I’ve dropped the average run time from my spreadsheets. It came about in a place where I was working to build my endurance and while I’m still doing that, an artificial 40m goal doesn’t help me achieve that. (I probably should have done away with it permanently last summer, to be honest). It wasn’t particularly accurate anyway as if I had a short run that I didn’t want to hurt my average, I’d just log the miles. So it’s gone. Monday: Cross train, probably rowing. Great job and congrats on your PR! Hope your 10k goes well! Great going, well done! I love that you’re throwing yourself into all these races and having fun! Congrats on your PR!!! That had to feel good. And then more miles after–you’re right, who are you? LOL!!!! Nice week. Well done and congrats on your PR! I live in CT and I sometimes do a few NYRR races a year and I love them! Yay for a PR, Especially on those hills. I ran the NYC half last year but would like to run another race that goes through central park! Sorry, had to fish you from approval queue and couldn’t log in from my phone for some reason. That’s part of why I’m eh on doing NYC Half next year, doesn’t grab me the way Central Park does. If you want a Half in CP, there’s the Lebow in January and the Shape Women’s in April. There are a couple of great 5M-10Ks, but not sure that distance is worth your travel time. 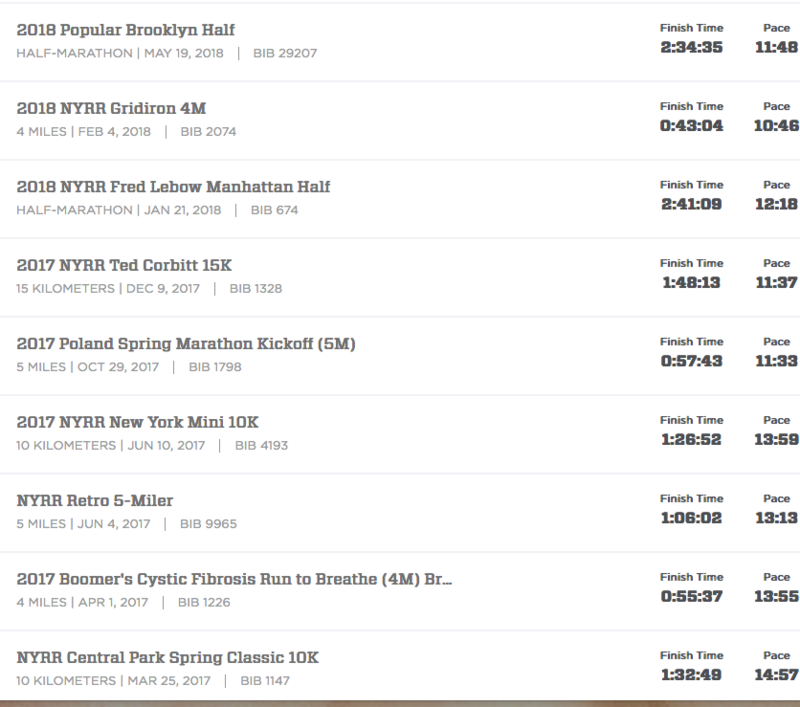 I think my favorite is the 15K in December as it doesn’t do the Harlem Hills but is still a great race. I’ve co-opted that as my long run for Halves. Just checking to see if my last comment went through. Wow, how great to PR under those conditions! I get SO frustrated when people run side-by-side in races. I may have squeezed in between a time or two …. Here’s to another good week! Oh yes- I try not to do that between pairs but three across? Absolutely. Especially early on when you know it’s crowded in the chute. What a race! And PR-ing when you didn’t expect to and with such conditions, now that is something to be really proud of. It’s funny you mention the calf cramping – I am lucky in that I have never really struggled with cramping BUT last week while sleeping I was woken up by the worst calf cramp ever. The following morning my leg felt as if I had done a HUGE workout! So I am really glad yours ended up being okay for the race. Congrats on the PR! That had to feel oh-so-good! Congratulations on your PR! I hope you are still on cloud nine — you deserve to be! I’m very impressed you added miles afterward too. Thanks for linking!